Why so many different glass shapes for wine? 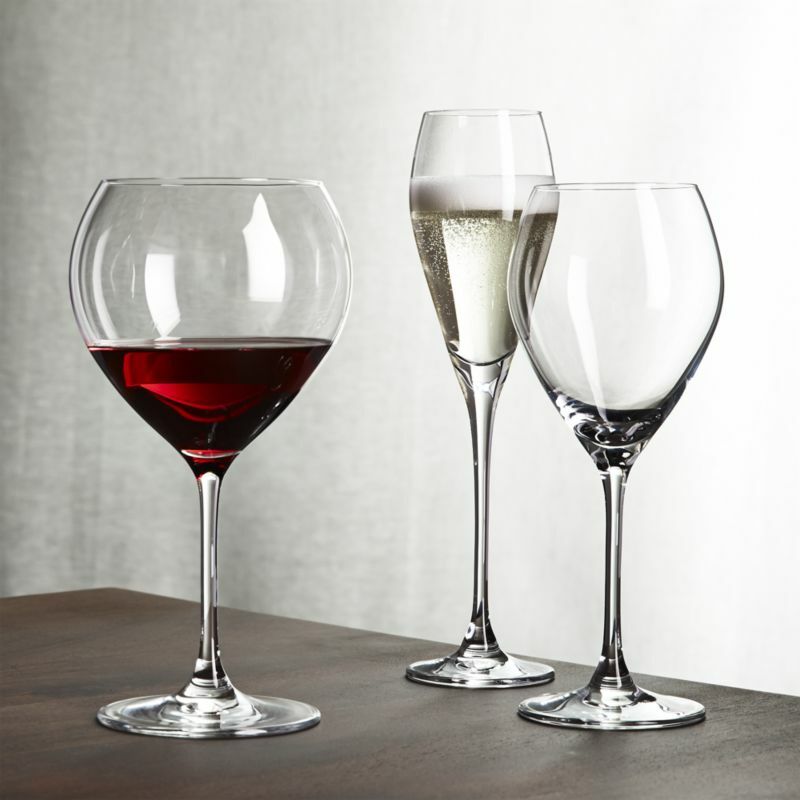 Find out why and how to select the ideal wine glass for your personal drinking preferences. And, if having the right glass is an important aspect of drinking better wine, then it’s well worth knowing! The best thing that you can do to make wine taste better is to select a glass that highlights your favorite style of wine. Below, you’ll see a summary of several glass shapes and wines that tend to perform very well in these shapes. You’ll notice that full-bodied white wines such as oak-aged Chardonnay, older white wines, orange wines and some vintage sparkling wines are typically desired out of a larger bowled white wine glass. This style, originally introduced by Riedel as a “Montrachet” glass , emphasizes the creamy texture in these wines with a wider mouth. The choice of a red wine glass has a lot to do with mitigating the bitterness of tannin or the spiciness to deliver a smoother tasting wine.